What is the best drone? That seems like a simple question, but it is actually impossible to answer. A better question is, “What is the best drone for you?” The answer to that question depends on what you are looking for. With Christmas around the corner be sure to check out our best drones for Christmas list HERE. Do you want something to take breathtaking aerial pictures and photos? Do you just want something fun? Do you want something to race FPV like they do on ESPN? We have picked the best drone in a variety of categories to make the process of choosing the right drone easy, no matter what you are looking for. Your search ends here. If you want to take awesome pictures you’ll need an awesome drone. Most people that want a drone because they’ve seen the awesome aerial footage that some drones can provide. Quality camera drones aren’t cheap, but they do come with an excellent array of flight modes and features to help you capture the perfect footage. 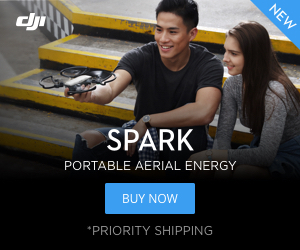 You’ll notice that DJI dominates this category. Autel, Parrot, and Yuneec have some awesome products, but DJI is the clear leader. A good aerial photography drone won’t come cheap. Here are our recommendations based on price. If you are interested in getting started but these price tags scare you, then check out this article on how to get started. The Parrot Bebop is an impressive beginner GPS drone that you can find under $200. It has a 14-megapixel HD camera with a wide field of view. Its onboard image stabilization is the best we have ever seen from a drone without a mechanical gimbal. Opting for the Bebop 2 over the original adds a few features and an impressive 25 minute flight time. Learn more about the Parrot Bebop here. The Parrot Bebop 2 and the DJI Spark are both excellent beginner drone options. The DJI Spark technically starts under $400, but we highly recommend the Fly More package that includes a remote, extra batteries, and some other goodies. The Fly More package will cost you $549 but is definitely worth it. The best deal, however, might be from Amazon and includes the remote three batteries and their awesome portable charger click here to check it out. This tiny machine is one spectacular piece of engineering. This quadcopter was designed to be easy to use and can be flown using gesture controls. You can also use your smartphone to control the Spark but we strongly recommend the added control and 2000 meter range that you get with the remote. Learn more about the DJI Spark here. The DJI Mavic Air is a spectacular machine. If this article was limited to one drone, then it would probably be the Mavic. It is incredibly stable, takes 4K video and can even fold up and fit in your pocket. This drone is probably the best choice for most people. The only exception is the professional pilot who needs the absolute best optics and better range than the Mavic Air can provide. Even pros will have a Mavic Air in their lineup of flying cameras because of its portability. Learn more about the DJI Mavic Air here. 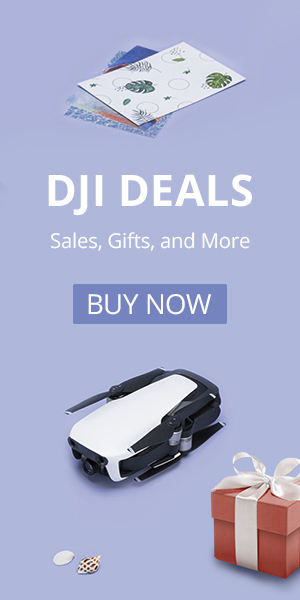 If you are a professional photographer or you require the absolute best then there are a few excellent options from DJI, the portable Mavic 2 models and Hollywood-quality Inspire 2. Side-by-side, which will you buy? There are two Mavic 2 models available, with the Mavic 2 Zoom starting at $1249 and the Mavic 2 Pro checking in at $1449. The drones are almost identical, both have 31 minutes of flight time, 8000 meters of range, and six-direction obstacle avoidance. The major difference between the two is their cameras. While both are spectacular cameras, the Pro version sports Hasselblad lenses with a 1″ sensor and a variable aperture. The Zoom version is the first consumer drone with an optical zoom camera. The Zoom allows for some more creative video shots while the Pro will snap the best pictures. Whichever one you choose you won’t be disappointed. Learn more about the differences between the Mavic 2 models here. You don’t need to spend a couple hundred dollars to get a quadcopter. In fact, there are good options for less than $25. These are great for people that are getting into the hobby and do not want to spend a small fortune on a drone. These quads are ready-to-go and you won’t spend much time trying to figure out how to get them up in the air. If you want a few more options then check out our articles for best drones under $50, best portable drones and best drones under $100. Here are our top suggestions if you are flying for pure enjoyment. The Eachine E011 and the RedPawz R010 are small quadcopters with a lot of punch. These ducted flyers can be flown both indoors and out. The E011’s best feature is that it can easily be converted to carry a camera if you decide you want to learn how to fly FPV. The ducted design makes it safer than most quads. It is an ideal drone to learn on. Bugs 3 and the F100 are identical machines on the inside but have different styling on the outside. The brushless motors spin pretty fast, so we would recommend the Bugs 3 / F100 to an intermediate pilot or the very cautious beginner. We give the edge to the F100 over the Bugs 3, as it is backed by a reputable American company and has sleeker styling. If you’ve seen the Drone Racing League (DRL) on ESPN and you want to get into flying FPV then you definitely do NOT want to start with a big racing quad like they use on TV. You’ll need to work your way up. Those machines are both expensive and dangerous to fly until you understand the ins and outs of quadcopters. If you want to learn more about how to get into FPV then check out this article. If you want to learn more about racing then check out this article. Here are the best current options on the market if you want to learn how to fly FPV. The Emax TinyHawk is the absolute best drone for anyone that is thinking about getting into FPV flying. It is incredibly robust. I have yet to fly (and crash a drone that can take a beating like the TinyHawk. Its brushless motors are powerful and smooth so you can fly it both indoors and out. By itself it typically can be bought for around $100 but you can also get a RTF version with a goggles and a remote for $165. That is hands down the best starting kit on the market today. Learn more about the TinyHawk here. You can pick one up from GearBest. We’d recommend flying it on a remote like the Tarnis QX7. If you want to learn more about GearBest click here. We fly our DarkMax with our Taranis Q X7. Sure micro quads are a lot of fun, but you want the real deal. The DarkMax is pretty close, but it isn’t necessarily going to put you on top of the podium. You certainly could build your own racer or you could let the pros build one for you. Good Venture Drones is a Chicago-based company that builds professional-quality FPV race quads. Their basic build is faster than you can imagine and their pro build will blow your mind. Check them out. So What is Best for You? That really is a tricky question. Hopefully, this article helped clear things up. If not, then check out our Half Chrome Drone Cipher™ and it will hopefully direct you to the right quad. For those looking for the Cliff Notes version of this article here are our top four recommendations. DJI Mavic 2 Zoom– If you want the best then this is most likely what you want. The zoom features are awesome. The one exception would be for the pro and semi-pro photographer may want the better optics on the Mavic 2 Pro. DJI Mavic Air– This is overall a most impressive machine. It takes spectacular pictures and is easy to travel with. Ryze Tello– This tiny drone is an awesome little dynamo. You won’t find a more capable drone under $100. Eachine M80S– If you want to get into flying FPV this is the best place to start. Or if you just want a fun and durable quad you can fly inside and out this is the one. If you’ve read all of this but you still aren’t sure, then feel free to contact us. We also have other articles looking at the best drones in each price range. Pingback: So You Want To Race Drone? You Better Start Here.